Discover the Best Western Hotel Terminus with its soundproof rooms and relaxing atmosphere featuring a panoramic view of the mountain ranges. All of the creature comforts are available including satellite television, hairdryer, radio alarm clock, mini-bar, Internet connections, conference rooms, parking and private garages as well as information on regional heritage. The Best Western Hotel Terminus is conveniently located across from the train and coach stations and the new business congress center. 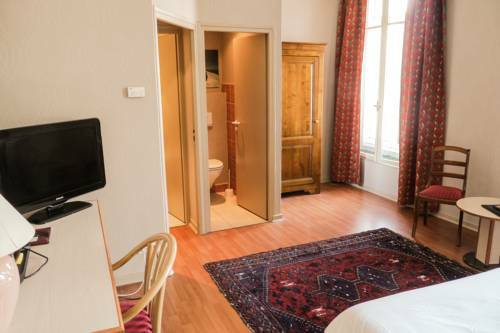 We are just a stone's throw from the town center and just one kilometer from Grenoble Theater. Enjoy your stay. From: The north. Follow A41. Proceed downtown toward the SNCF rail station and bus station. From: The west. Take A48. Proceed toward the Bastille and take the first main street on the right, then head toward the SNCF rail station and bus station.